https://www.facebook.com/drjaydavidsondetox/videos/2157853841138452/ Video here Approx. 15 Min. Parasites in the eyeballs and parasites from Rats! The top link shows Dr. Jay Davidson talking about rat lungworm, hookworm, Strongyloides, and nematodes in the eye. Believe it or not, this particular eye parasite affects 12 million people worldwide. He also gives a preview of a parasite symptom checklist. So, you’re experiencing symptoms of tiredness, achiness, sore throat, and possibly swollen lymph nodes and low-grade fever that just won’t go away. You’ve Googled your symptoms, and mononucleosis pops up as a likely possibility. But if you’re well beyond college age, mononucleosis isn’t very common. Chronic fatigue syndrome, fibromyalgia, and even Lyme disease are other possibilities you might have entertained, especially if you have symptoms beyond those mentioned above. But then you came across something called reactivated Epstein-Barr virus, which fits your symptoms to a tee. If you are aware that Epstein-Barr virus (EBV) is the cause of mononucleosis, you may be wondering: What’s the difference between chronic reactivated EBV and mononucleosis? And beyond that, what makes chronic reactivated EBV chronic — and how does it play into other chronic illnesses? To find out, read on to learn more about this complex and convoluted microbe called Epstein-Barr virus and what can make it a long-term troublemaker. Let’s start with the fact that EBV is much more common than you might imagine: >95% of world’s population has been infected with it. Another interesting fact is that it’s a herpes-type virus. Yep, you read that right: EBV is a close relative of genital herpes. Known technically as Human Herpesvirus 4 (HHV-4), it’s #4 on the list of nine different herpes-type viruses that can infect humans. Herpesviruses are composed of strands of DNA inside an envelope. After initial infection, they stay dormant in tissues indefinitely, but can reactivate if immune system functions become depressed. In other words, if you’ve ever been infected with a herpesvirus like EBV, you will always carry it in your tissues. The majority of people become infected with EBV as infants or young children. The virus spreads primarily by oral route via saliva. To enter the body, it infects mucous membranes lining the mouth, throat, and stomach. From there, the virus infects B cells, the type of white blood cell that produces antibodies. It also infects T cells and natural killer cells, but to a lesser extent. Infected white blood cells transport EBV throughout the body. In this active phase, called the lytic phase, the virus takes over the machinery of infected cells to generate new viruses. This is when people are most symptomatic and contagious. The virus spreads remarkably easily, especially in children. It is most typically spread by people who are infectious, but don’t know it — daycare workers, babysitters, grandmothers with big wet kisses. Following that, infected children rapidly pass it along to other children. Which is a really good thing — because if you get it as an infant or young child (remember to thank your grandmother), you typically don’t get very sick at all. In fact, it’s unlikely that you would even remember the infection. It’s only if you don’t get EBV at a young age and then get exposed later in life when your immune system is suppressed that you’re at risk for developing the form of EBV called mononucleosis. Known as kissing disease, infectious mononucleosis (IM) is spread by intimate contact with someone shedding the virus. It typically occurs in young adults who haven’t been exposed early in life. It usually catches the person off guard when immune system functions are depressed, such as during the stress of high school or college. 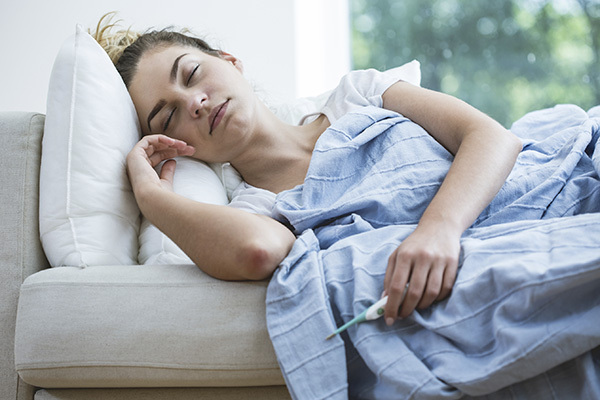 Whether the initial encounter with EBV occurs as an innocuous infection as a child or as debilitating mononucleosis as a young adult, the host’s immune system eventually gains ground and the infection is contained. The virus, however, is not eradicated. It persists inside memory B cells, a type of white blood cell that retains “memory” of an infection for future reference — except in this case, the cells are sabotaged into storing the actual virus. Memory B cells infected with EBV accumulate in lymphoid tissue and nerve tissue, and stay there for a lifetime. Either way, whether EBV is completely dormant or infectious without symptoms, the virus generally doesn’t cause any significant problems as long as immune system functions are robust. You can carry it for a whole lifetime and not know it — as most people do. Chronic reactivated EBV is like mononucleosis from hell. The most plausible explanation for why chronic reactivated EBV is so severe and unrelenting is that it’s not just EBV that’s at play. This is where things get both interesting and complicated. People often carry other herpesviruses in addition to EBV. The list includes Herpes simplex types 1 and 2 (oral and genital herpes), varicella-zoster virus (causing both chickenpox and shingles), cytomegalovirus (CMV), HHV-6 types a and b, HHV-7, and HHV-8. They stay dormant in tissues and can be reactivated just like EBV. 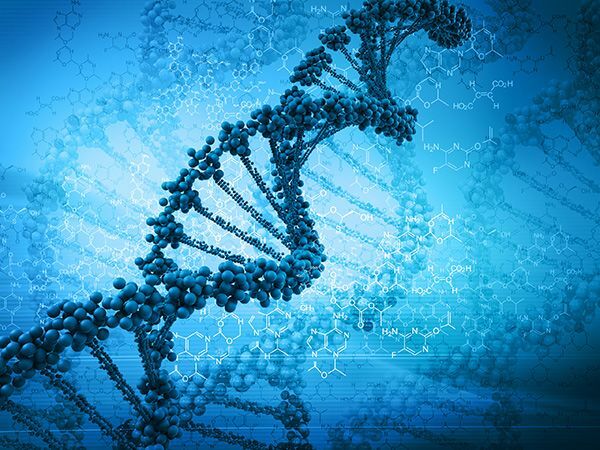 If disruption of a person’s immune functions allows reactivation of multiple herpesviruses at once, symptoms can be severe and highly variable. Many people with chronic Lyme disease, fibromyalgia, and chronic fatigue syndrome are found to have reactivation of EBV, along with other herpesviruses and a list of other microbes including Mycoplasma, Bartonella, Chlamydia, and new microbes added to the list every day. This strongly suggests that reactivation of EBV is likely not EBV alone. Similarly, studies have shown high viral loads of active EBV in a high proportion of patients with a variety of autoimmune diseases, including rheumatoid arthritis, systemic lupus erythematosus, Sjögren’s syndrome, and autoimmune thyroiditis.14 Again, a strong link, but not enough to suggest absolute cause of EBV alone. And that’s not the end of the multi-microbe connections. They have the ability to live inside cells. They infect white blood cells and are carried throughout the body, especially to areas of inflammation. They can persist in a dormant state. They are master manipulators of the immune system. They can exist in healthy people without causing illness. They are present in all populations of the world. The deeper you dig, the more connections you find between chronic illnesses and stealth microbes. But after a while, you begin to appreciate that it’s not as much the microbes causing problems as it is disruption of the host’s immune functions that allows those microbes to flourish. In other words, a person could be harboring a variety of stealth microbes — EBV, CMV, HHV-7, Borrelia, Bartonella, Mycoplasma, Chlamydia, and others — and not be ill as long as their immune system functions are robust. Let immune system functions falter, however, and like a pot boiling over on the stove, the microbes erupt and cause illness. I came to see chronic illness differently than most other physicians because of my personal struggle overcoming chronic Lyme disease. My experience taught me that the microbes are always there — I had likely harbored mine since childhood. It’s not until a perfect storm of factors comes together to disrupt immune functions that a person becomes ill. For me, that perfect storm was caused primarily by years of chronic sleep deprivation associated with every-other-night obstetrics on-call-duty and eating a poor diet on the run, but there were other minor stress factors as well. My recovery did not progress until I started addressing the underlying chronic immune dysfunction. As I shifted my practice toward caring for individuals with chronic illness, I began to see similar patterns in my patients — not necessarily the same stress factors that I had experienced, but stress factors that disrupt immune functions just the same. I began cataloging them and, interestingly, I reached a limit of just 7 categories of stress factors that are associated with chronic illness. As astounding as it may sound, I came to the conclusion that the causes of all chronic illnesses can be traced back to these 7 factors that I came to call System Disruptors. I’ve been testing this theory for more than 10 years and always find it to be reliable. I’ve also discovered solid scientific support for my theory. 1. Poor diet. We live in a world saturated with artificially manipulated foods. Regular consumption of these foods disrupts all systems of the body. 2. Toxins. The modern world is saturated with artificial toxins. Toxins disrupt all healing systems of the body. 3. Emotional stress. Continually running from the proverbial tiger inhibits digestion, suppresses immune function, disrupts sleep, and sets the stage for chronic illness. 4. Physical stress. Cumulative trauma, excessive heat or cold causes damage to the body, but living a sedentary life can be just as harmful. 5. Oxidative stress. Every cell in the body is continually generating free radicals as a byproduct of energy production. Free radicals damage internal components of cells. Inflammation is also a type of free radical damage. 6. Artificial radiation. Normal background radiation from the sun, solar system, and the earth itself are now amplified sources of radiation that saturate the modern world. 7. Microbes. The effects from this system disruptor set the stage for chronic illness. To help identify chronic EBV, start by trying to rule out infectious mononucleosis. By definition, IM is an acute infection with EBV alone, and there are antiviral agents (such as acyclovir, ganciclovir, and vidarabine) that work extremely well for IM and other acute infections of herpes-type viruses, so it’s worth doing testing to define IM over reactivated EBV. Testing for IM looks for antibodies to the virus; the presence of different types of antibodies can distinguish between IM and reactivated EBV. But testing for IM isn’t always straight-forward — mononucleosis-like syndromes can also occur with other herpesviruses (CMV, HHV-6), other viruses (typically adenoviruses), and a protozoan called Toxoplasma gondii.26 In other words, many different viruses can cause viral syndromes similar to EBV. If you have all the symptoms of chronic reactivated EBV, then the likelihood of EBV being present is quite high, along with other microbes. As for treating chronic reactivated EBV, because there are antiviral agents that work well for IM, you might expect that chronic EBV would also respond to antivirals. Unfortunately, antivirals don’t work for chronic EBV. Other conventional therapies, including steroid therapy (prednisone) and immunosuppressive drugs, have been used to treat chronic EBV infection, but success has been limited.1These therapies can inhibit the destructive processes of a disrupted immune function, but they have no capacity to restore normal immune function. Focusing all efforts on eradicating EBV, however, is short-sighted. The bottom line: The underlying problem is chronic immune dysfunction, and you will not start getting well until normal immune system functions are restored. Remember, EBV doesn’t cause problems unless immune system functions have been disrupted.1, 14, 20, 23 Therefore, any solution must address restoring normal immune system functions in order to suppress whatever microbes may be present and flourishing. First and foremost is minimizing the 7 System Disruptors. Following an optimal diet and making some lifestyle modifications to promote a healing environment in the body is essential for overcoming chronic EBV or any other chronic illness. While many herbs have been found to suppress EBV, EBV is rarely found in isolation — chronic immune dysfunction always allows a variety of low-grade stealth pathogens to flourish. Therefore, a comprehensive regimen of herbal extracts is necessary. Generally most people will respond to restorative solutions alone. Drug therapy is only necessary if severe or extreme illness is not responding to the restorative therapies. It is, however, important to maintain an ongoing working relationship with your medical provider during your entire recovery. Ultimately, all of this is great news for those with chronic reactivated EBV: It means the power to take back control of your health and feel better is in your hands. By learning how to limit the System Disruptors in your life, you’ll start to strengthen your immune function so you can live in harmony with microbes like EBV. For another great article how how to treat reactivated EBV by Dr. Carnahan: https://www.linkedin.com/pulse/sleeping-giant-tips-treat-reactivation-epstein-barr-carnahan-md/? Did you know, you probably have virus lurking in the shadows? It’s called the Epstein-Barr virus (EBV) and an estimated 90 percent of us have it. Fortunately, for most of us it lies dormant, like a sleeping giant. Only when something triggers a reactivation of EBV does this virus rear its ugly head. Epstein-Barr virus is part of the herpes family and also known as human herpesvirus 4. 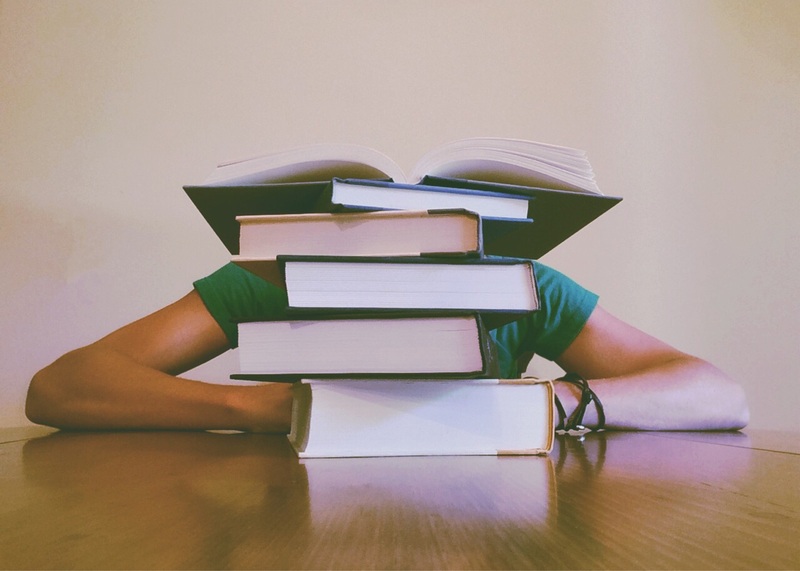 Usually passed through saliva, EBV is the cause of infectious mononucleosis – also known as “mono” or “kissing disease.” Typically, teenagers come down with this condition and first notice there’s a problem when they experience extreme fatigue. Interestingly, extreme fatigue can also cause a reactivation of Epstein-Barr virus. Autoimmune conditions are caused when an overactive immune system begins attacking healthy tissue. We are learning more and more, what often sets off the immune system response in the first place can be a variety of infections, including EBV. CD8+T cells are types of white blood cells your body uses to keep the EBV virus in check. When there’s an impairment or a deficiency of these cells, the EBV virus is free to run rampant. The amount of CD8+T cells you have can be negatively impacted by age, estrogen levels, and vitamin D deficiency, certain medications and treatments, and poor immune system function. This is important because autoimmunity is on the rise and we need a better understanding of its underlying causes. If you want to know more about What to Do if You Have an Autoimmune Disease, check out my free guide. So, what can be done to treat Epstein-Barr? If it’s so common, surely there’s a simple explanation or cure? Actually, the best way to tackle Epstein-Barr is similar to how we deal with an imbalance of gut microbes – manipulate the environment so balance is restored. The most important thing I find is to support the natural immunity and decrease exposures to environmental toxins and other infections. Let’s take a closer look. There is no known cure for the Epstein-Barr virus, and therefore treatments should focus on returning the creature back to it’s sleeping or dormant state. So, in order to treat EBV the approach needs to focus on getting the virus back in check, not killing it. This means manipulating the condition of your body – the environment where the Epstein-Barr virus lives. Clean diet and proper nutrition – This reduces inflammation and immune system burden. We eliminate gluten, dairy, allergens, and start a plant-based Paleo diet. Sugar is one of the most powerful immunosuppressives so that must be eliminated at all costs. Heal the gut – Healing the gut is a priority for anyone dealing with EBV. Toxins can leak through damaged gastrointestinal lining and cause the immune system to overreact. This process is also known as endotoxemia, driven by LPS. Eliminate any infections – Check for any coexisting infections and work to treat these. I often think of it as “infectious burden” and work to decrease the load on the immune system. Reduce toxic burden – We are bombarded by tens of thousands of chemicals everyday, find out how to Reduce Your Daily Toxin Exposure. It is critical also to decrease total toxic load by eliminating any toxic exposures. Optimize detox pathways – This includes supporting the liver, kidneys, and colon and may be supported by various nutritional supplements and other homeopathic drainage remedies. Improving sleep habits – This is essential because so many repairing and detoxification processes occur during the deepest stages of sleep. I advise no less than 8 hours per night or as much sleep as required to wake up refreshed without an alarm clock. Reduce stress – Stress is a major cause of immune system dysfunction, it could even be what awakened your EBV in the first place. You must work to reduce stress – your health depends on it. Try prayer, meditation or spending time in nature. Self care must be a priority. 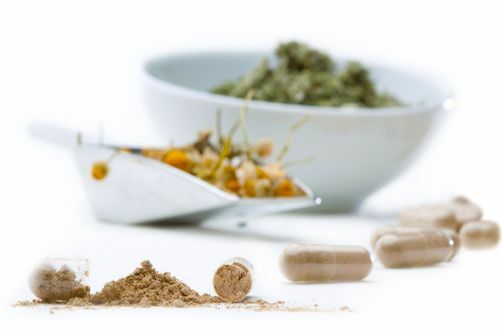 Herbal supplements – Herbs such as Ashwagandha, licorice, St. John’s wort, lemon balm, ginseng, and holy basil may be used for immune system support and for their antiviral and adaptogenic properties. When viruses diminish due to these treatments it isn’t because any of these things attack the virus, but instead they help put your body in a state that isn’t ideal for the virus to reproduce. Hopefully, this strengthens your immune system and returns this typically harmless virus back to it’s benign state. Immune cell therapy when used in a person after a transplant. Bone marrow transplant is an extreme therapy that has been documented in two life threatening cases. Cord blood stem cell transplants. This is a new but emerging treatment that may be very successful in tough cases. Antiviral therapy such as ganciclovir and vidarabine. Immunosuppressive agents such as cyclosporine and corticosteroids. Immunomodulatory therapy such as interferon alpha and interferon gamma. Cytotoxic chemotherapy such as anthracyclines, etoposide, cyclophosphamide, vincristine, and prednisone. Infusions of cytotoxic T and lymphokine-activated lymphocytes. This isn’t to suggest that your doctor shouldn’t temporarily recommend some of these, however, none of these are by any means a cure for Epstein-Barr virus and you should proceed with extreme caution. The science surrounding the Epstein-Barr virus is developing daily. If you think you might have a condition due to EBV, it’s important to find a doctor who’s experienced in conditions related to the reactivation of this virus. If you need help finding a functional medicine doctor, I’ve made a helpful guide to get you started – How to Choose a Good Integrative and Functional Medicine Doctor. 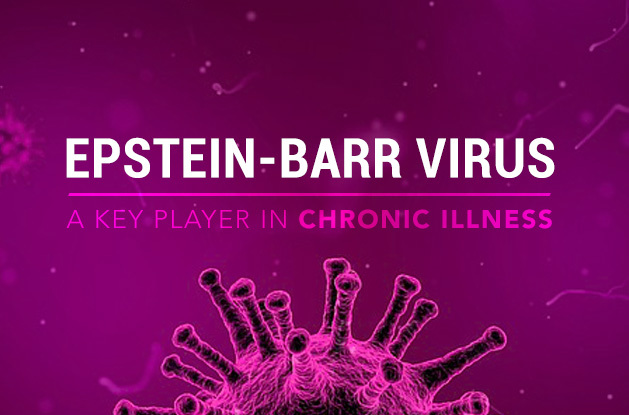 The Epstein-Barr virus is a significant condition I wish more people knew about – Share this article to spread awareness of this sleeping giant. Being in Wisconsin, an epicenter for Lyme, our LLMD is also who we take our children to – just in case, God forbid, they should become infected. Our LLMD believes, as Dr. Rawls, that immunoconfusion, or a perfect storm of events overwhelming the immune system, is behind many chronic diseases. Retraining the immune system to recognize friend vs foe is behind LDA/LDI treatment and can often help many chronic conditions. It certainly has helped my daughter, who is also hypothyroid, hypoglycemic, and suffers from severe endometriosis. EBV nearly destroyed her liver. 1. Cohen J. Optimal Treatment for Chronic Active Epstein-Barr Virus Disease. Pediatr Transplant. 2009 Jun; 13(4): 393–396. 2. Joo E et al. An Adult Case of Chronic Active Epstein-Barr Virus Infection with Interstitial Pneumonitis. Korean J Intern Med. 2011 Dec; 26(4): 466–469. 3. Kang M, Kief E. Epstein–Barr virus latent genes. Exp Mol Med. 2015 Jan; 47(1): e131. 4. Jha H, Pei Y, Robertson E. Epstein–Barr Virus: Diseases Linked to Infection and Transformation. Front Microbiol. 2016; 7: 1602. 5. Tsao S et al. The role of Epstein–Barr virus in epithelial malignancies. J Pathol. 2015 Jan; 235(2): 323–333. 6. Paschale M and Clerici P. Serological diagnosis of Epstein-Barr virus infection: Problems and solutions. World J Virol. 2012 Feb 12; 1(1): 31–43. 7. Shen Y et al. Understanding the interplay between host immunity and Epstein-Barr virus in NPC patients. Emerg Microbes Infect. 2015 Mar; 4(3): e20. 8. Tzellos S and Farrell P. Epstein-Barr Virus Sequence Variation—Biology and Disease. Pathogens. 2012 Dec; 1(2): 156–175. 9. Iizasa H et al. Epstein-Barr Virus (EBV)-associated Gastric Carcinoma. Viruses. 2012 Dec; 4(12): 3420–3439. 10. Lassmann H et al. Epstein–Barr virus in the multiple sclerosis brain: a controversial issue—report on a focused workshop held in the Centre for Brain Research of the Medical University of Vienna, Austria. Brain. 2011 Sep; 134(9): 2772–2786. 11. Pender M and Burrows S. Epstein–Barr virus and multiple sclerosis: potential opportunities for immunotherapy. Clin Transl Immunology. 2014 Oct; 3(10): e27. 12. Stanfield B and Luftig M. Recent advances in understanding Epstein-Barr virus. Version 1. F1000Res. 2017; 6: 386. 13. Gru A et al. The Epstein-Barr Virus (EBV) in T Cell and NK Cell Lymphomas: Time for a Reassessment. Curr Hematol Malig Rep. 2015 Dec; 10(4): 456–467. 14. Lossius A et al. Epstein-Barr Virus in Systemic Lupus Erythematosus, Rheumatoid Arthritis and Multiple Sclerosis—Association and Causation. Viruses. 2012 Dec; 4(12): 3701–3730. 15. Rowe M, Fitzsimmons L, and Bell A. Epstein-Barr virus and Burkitt lymphoma. Chin J Cancer. 2014 Dec; 33(12): 609–619. 16. Martorelli D et al. Exploiting the Interplay between Innate and Adaptive Immunity to Improve Immunotherapeutic Strategies for Epstein-Barr-Virus-Driven Disorders. Clin Dev Immunol. 2012; 2012: 931952. 17. Houldcroft C and Kellam P. Host genetics of Epstein–Barr virus infection, latency and disease. Rev Med Virol. 2015 Mar; 25(2): 71–84. 19. Rac J et al. Telomerase Activity Impacts on Epstein-Barr Virus Infection of AGS Cells. PLoS One. 2015; 10(4): e0123645. 20. Pender M. The Essential Role of Epstein-Barr Virus in the Pathogenesis of Multiple Sclerosis. Neuroscientist. 2011 Aug; 17(4): 351–367. 21. Dittfeld A et al. A possible link between the Epstein-Barr virus infection and autoimmune thyroid disorders. Cent Eur J Immunol. 2016; 41(3): 297–301. A Systematic Review. Medicine (Baltimore). 2015 May; 94(20): e792. 23. David A. Thorley-Lawson. EBV Persistence—Introducing the Virus. Curr Top Microbiol Immunol. 2015; 390(Pt 1): 151–209. 24. Iwakiri D. Epstein-Barr Virus-Encoded RNAs: Key Molecules in Viral Pathogenesis. Cancers (Basel). 2014 Sep; 6(3): 1615–1630. 25. Dunmire SK, Hogquist KA, and Balfour HH. Infectious Mononucleosis. Curr Top Microbiol Immunol. 2015; 390: 211–240. 26. Krupka JA et al. Infectious mononucleosis-like syndrome with high lymphocytosis and positive IgM EBV and CMV antibodies in a three-year-old girl. Cent Eur J Immunol. 2017;42(2):210-212. 27. Collin V, Flamand L. HHV-6A/B Integration and the Pathogenesis Associated with the Reactivation of Chromosomally Integrated HHV-6A/B. Viruses. 2017 Jun 26;9(7). 28. Warren-Gash C et al. Association between human herpesvirus infections and dementia or mild cognitive impairment: a systematic review protocol. BMJ Open. 2017 Jun 23;7(6):e016522. 29. Fierz W. Multiple sclerosis: an example of pathogenic viral interaction? Virol J. 2017 Feb 28;14(1):42. 30.Enquist LW, Leib DA. Intrinsic and Innate Defenses of Neurons: Détente with the Herpesviruses. J Virol. 2016 Dec 16;91(1). 31. Hutt-Fletcher LM. The Long and Complicated Relationship between Epstein-Barr Virus and Epithelial Cells. J Virol. 2016 Dec 16;91(1). 32. Siddiquey MN et al. Anti-tumor effects of suberoylanilide hydroxamic acid on Epstein-Barr virus-associated T cell and natural killer cell lymphoma. Cancer Sci. 2014 Jun;105(6):713-22. 33. Cekanaviciute E et al. Gut bacteria from multiple sclerosis patients modulate human T cells and exacerbate symptoms in mouse models. Proc Natl Acad Sci U S A. 2017 Sep 11. pii: 201711235. 34. Berer K et al. Gut microbiota from multiple sclerosis patients enables spontaneous autoimmune encephalomyelitis in mice. Proc Natl Acad Sci U S A. 2017 Sep 11. pii: 201711233. 35. Ivanova MV et al. Role of Chlamydia in Multiple Sclerosis. Bull Exp Biol Med. 2015 Sep;159(5):646-8. 36. Libbey JE, Cusick MF, Fujinami RS. Role of pathogens in multiple sclerosis. Int Rev Immunol. 2014 Jul-Aug;33(4):266-83. 37. Sriram S et al. Detection of chlamydial bodies and antigens in the central nervous system of patients with multiple sclerosis. J Infect Dis. 2005 Oct 1;192(7):1219-28. Epub 2005 Sep 2. 38. Buhner S. Herbal Antivirals, Natural Remedies for Emerging & Resistant Viral Infections. Storey Publishing. Copyright 2013. SOUTH KINGSTOWN — A family-owned pharmacy in this seaside town recently began dispensing antibiotics to people without prescriptions to reduce the risk of developing Lyme disease. Green Line Apothecary announced in late June that it is offering the single 200-mg prophylactic dose of doxycycline to adults within 72 hours of a deer tick bite if they meet the U.S. Centers for Disease Control and Prevention’s criteria for infection risk. Proponents of the program — reportedly the first of its kind in the country — say it serves an important public health need by expanding timely access to treatment that could prevent more people from developing the potentially debilitating disease. And they hope it will become a national model. But experts caution that expanding access to antibiotics to prevent Lyme disease may do more harm than good. Most people who will get the preventative treatment, they say, would likely never have developed Lyme disease. For those who are infected, some doctors worry a prophylactic dose may not be enough to prevent the patient from getting sick. And misuse or overuse of antibiotics can contribute to another major public health problem: antibiotic resistance. The pharmacy program follows passage of legislation by the Rhode Island General Assembly in 2016 that expands pharmacists’ role to include initiation of drug therapies under so-called collaborative practice agreements. The state health department’s approval of the Green Line program comes amid growing public concern over Lyme disease, which each year is diagnosed in roughly 30,000 people in the country, 95 percent of them in 14 states including Rhode Island, according to the U.S. Centers for Disease Control and Prevention. In 2015, Rhode Island reported 904 diagnosed cases of Lyme disease, the 11th-highest rate in the country, according to the CDC. Washington County is Rhode Island’s ground zero for Lyme disease, with nearly twice the statewide rate, state health data show. “Everybody knows someone who has been impacted by Lyme,” said Anita N. Jacobson, a pharmacist and clinical associate professor at the University of Rhode Island College of Pharmacy. Christina Procaccianti, a pharmacist and Green Line’s owner, is one of those people. The vintage-style pharmacy and soda fountain opened in 2016 on Main Street in Wakefield. Procaccianti, 34, contracted Lyme disease in 2011, while she was pregnant. After an eight-week course of antibiotics, she said, she made a full recovery and delivered a healthy baby girl. “I know how awful Lyme is,” she said. “If we can prevent it for anybody,” she said, the effort will be a success. Peter Schunke was among the first to seek treatment. That morning, his wife, Elizabeth, had plucked a “pin-top size” tick from his back left shoulder. Schunke, 72, had contracted Lyme disease years ago, so he and his wife headed to the pharmacy. They hadn’t saved the tick. Procaccianti, the pharmacist and owner, showed Peter Schunke a chart with different types and sizes of ticks for identification. Then she asked him a series of questions. He signed consent forms, handed her his insurance card and walked out with two 100-mg doxycycline pills. Later, Elizabeth and Peter Schunke said the tick looked like the smallest of the four pictured on a poster displayed at the pharmacy. The smallest on the poster — the tick larvae — would not meet the CDC guidelines for treatment. Lyme disease is caused by the bacterium Borrelia burgdorferi and is transmitted to humans through the bite of infected deer ticks, also known as blacklegged ticks. Early signs and symptoms may include fever, headache, fatigue and, in some cases, a characteristic red rash, often shaped like a ring, called erythema migrans. But about 20 percent to 30 percent of those infected with Lyme disease never develop the telltale rash. Later symptoms can include severe headaches, neck stiffness, arthritis, joint pain, facial palsy and problems with short-term memory, among others. “We don’t recommend it but we offer it,″ said Dr. Timothy P. Flanigan, medical director of The Lifespan Lyme Disease Center at Newport Hospital. If someone gets bitten by a deer tick on a Friday afternoon or a weekend, Flanigan said, they may not be able to get an appointment to see their doctor within the critical 72-hour window. And the program could reduce costly emergency department visits. “I think this is a good use of a pharmacy-based clinic,” Flanigan said. The largest study of doxycycline as a prophylactic treatment to prevent Lyme disease was published in 2001 in The New England Journal of Medicine. Led by Dr. Robert B. Nadelman, an infectious disease specialist, researchers found that among the subjects treated with doxycycline within 72 hours of a deer tick bite, only one developed the erythema migrans rash at the site of the deer tick bite compared with eight who received a placebo. 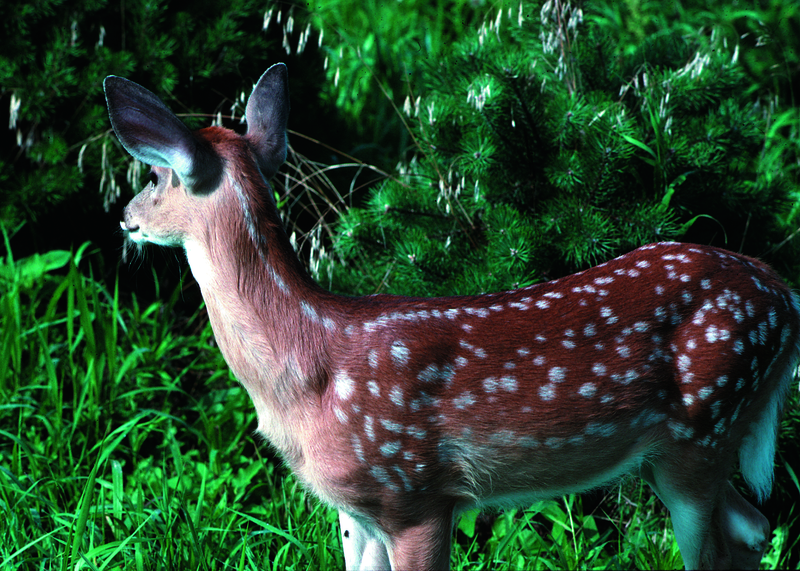 The Nadelman study concluded that a single 200-mg dose of doxycycline — twice the average daily dose to prevent malaria — given within 72 hours after a deer tick bite can prevent the development of Lyme disease. The prophylactic doxycycline treatment, the study concluded, could reduce the risk of developing Lyme disease by 87 percent. If every person treated meets all of the CDC criteria, Jacobson said, statistically they would only need to treat 11 people in order to prevent one case of Lyme disease. But that’s a big “if.” Can patients be expected to properly identify the offending insect from a tick-photo lineup? And how would they know if it had been attached for 36 hours? Outside of a research study, the conditions to determine whether all of those seeking the prophylactic treatment qualify are “almost non-existent,” said Dr. Rade B. Vukmir, a spokesman for The American College of Emergency Physicians. Vukmir practices medicine in Pennsylvania, which, in 2015, the CDC reports had the highest-rate of Lyme disease cases in the country. And overuse of antibiotics can contribute to antibiotic resistance. At least 2 million people in the U.S. each year become infected with bacteria that are resistant to antibiotics, and at least 23,000 people die as a direct result of those infections, according to the CDC. Laboratory tests have demonstrated that the antibiotics doxycycline and amoxicillin also “can induce a persistent form of the bacteria that are more tolerant to treatment,″ Dr. Ying Zhang, a professor at the Johns Hopkins Bloomberg School of Public Health. It’s also not known whether a 200-mg dose of doxycycline is always enough to prevent Lyme disease, Zhang said. So someone may still become infected and get sick, he said, but the antibiotic could cause their blood to test negative for Lyme, making diagnosis more difficult. Concerns about the pharmacy-based program recently prompted Rhode Island’s health director to take another look at the guidelines. The doctor, she said, might just call in a prescription. As of Friday, Green Line had treated 31 people and declined to treat another 27, most because the 72-hour window had already past, Procaccianti said. The pharmacy also last week began requiring that people bring in the tick or a photo of it to be eligible for treatment, she said. Dr. Fredric J. Silverblatt, an infectious disease specialist and head of South County Hospital’s Lyme clinic, is the prescribing physician for the Green Line program. Silverblatt, who lives in a wooded area, said he has contracted Lyme disease “three, four times.” The last time, he developed encephalitis, a potentially life-threatening inflammation of the brain, and was hospitalized for several weeks. He now keeps a bottle of doxycycline in his medicine cabinet. He said he offers the same prophylactic treatment to some of his patients. — Spray clothing, shoes and camping gear with the insecticide permethrin, which kills ticks on contact. — Check your entire body thoroughly for ticks, especially the back of your knees, waistband, armpits or any other constricted places. — Use sticky duct tape to remove tick larvae from you or your dog before they bite. — If you find an attached tick, remove it immediately. Once attached, ticks do not wash off in the shower. — Using fine-tipped tweezers grasp the tick as close to the skin’s surface as possible. — Pull upward with steady, even pressure. Don’t twist or jerk the tick; this can cause the mouth-parts to break off and remain in the skin. — Clean bite area, hands and tweezers with rubbing alcohol, an iodine scrub, or soap and water. — To save the tick for identification, place it in a sealed bag or wrap it in scotch tape. — Take a photo of the tick and send it online to TickSpotters. — Testing of individual ticks generally is not useful, the CDC states, because even if the test shows that the tick contained disease-causing organisms, that does not necessarily mean that you have been infected. — If you develop symptoms, seek medical care immediately. This article reminds me of Bull Sharks which can’t see worth a crap so they hunt in shallow murky waters inadvertently biting people they mistakenly think are food. 2) Zhang’s comment about doxy throwing borrelia into a more persistent form (round body forms) is something the CDC/NIH/IDSA isn’t acknowledging at all. https://www.ncbi.nlm.nih.gov/pubmed/21753890# I guess since a researcher outside The Cabal discovered this – it is tossed out like yesterday’s garbage. The bull sharks continue to swim in murky waters – blind as bats. 3) Once a person takes antibiotics, LD may not be picked up on future testing. This will definitely present problems. 4) The EM rash is a poor indicator of Lyme Disease. Just how poor? 5) The “two magic pills approach” gives patients and doctors a false sense of security. 6) The whole “tick of a certain size,” and “72 hours” is more murkiness. WHY? https://madisonarealymesupportgroup.com/2017/04/14/transmission-time-for-lymemsids-infection/ People have jumped right to 3rd stage Lyme (is in the central nervous system) within hours. “Ticks of a certain size” omits the fact that ticks often partially feed, drop off, and then have pathogens already in their salivary glands allowing a much quicker transmission time – regardless of size. The Bull sharks continue to want to simplify this. https://madisonarealymesupportgroup.com/2016/06/03/borrelia-hiding-in-worms-causing-chronic-brain-diseases/ Doxy will NOT kill nematodes (worms). Ticks often have multiple parasites within them – passing them onto people. Please read the article above, written by Melinda Wenner Moyer, edited by Pam Weintraub. Robert Moir, a neurologist at Massachusetts General Hospital in Boston, believes that beta-amyloid, a key player in Alzheimer’s, might be a good guy who is actually protecting the brain from pathogens. This idea is coming from numerous corners of the world and has been labeled ‘pathogen hypothesis.’ Others pointing this out are pathologist Alan MacDonald, neuropathologist Judith Miklossy, and microbiologist Tom Grier. Moir has published mouse studies showing that their brains create amyloid plaques within hours of contracting infections and they actually kill pathogens. This observation flies in the face of accepted dogma about beta-amyloid and it is rarely discussed in AD groups. A meta-analysis of 25 published studies has shown that infected folks are 10 times more likely to develop AD, leading international researchers to co-sign an editorial begging others to consider pathogens in relation to AD. The author reminds the reader that infections in the brain are nothing new and a short list of them includes: Syphillis, Herpes simplex encephalitis, tick borne disease, HIV, Toxoplasma gondii, Chlamydia pneumoniae, HSV-1, and Zika. The journalist also points out that pathogen causation is not proven and that Alzheimer’s patients might be prone to infection but that some studies suggest the infections came first. She also says that the majority of folks suggesting the ‘pathogen hypothesis’ do not feel the infections work alone but rather can cause a domino effect that over time can accumulate causing AD. And lastly, if beta-amyloid causes AD then removing these plaques should get rid of symptoms, but when 145 beta-amyloid-reducing drugs were tested, not one slowed progression of the disease. Once again, proving a science cabal exists, Moir recounts how at a Korean conference, attendees were asked to raised hands if they thought infections played a part in AD and a majority of hands went up. “Ten years ago, it would have been four guys in a corner, all huddled together, not talking to anyone else,” Moir says.